Welcome to Ancient-Symbols.com. 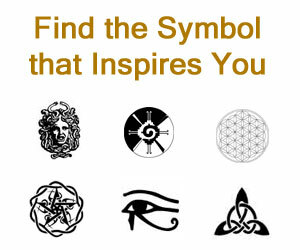 We love the beauty, the meanings, and significations of many of the world’s most ancient symbols. As you can see on our menus, we have a wide range of symbols by subjects. Each page will give you the pictures of the symbols and their meanings. From Ancient Egyptian symbols to Native American symbols to Greek Symbols and many more. Another example of ancient symbols subject is Sacred Geometry which is becoming more and more popular in our day and age. Sacred Geometry is basically about geometrical shapes and patterns that hold the same geometry laws which are the base of the universe. These shapes and symbols were very popular in ancient times. All forms of life in Nature such as plants, seashells, or snowflakes have sacred geometry in their design and are good examples of sacred geometry in our everyday world. Why are ancient symbols so important? 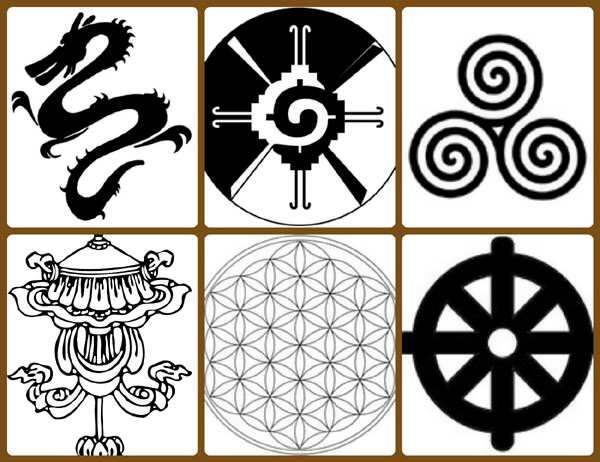 Like written language, symbols carry with them meaning that allows us to communicate with each other. But unlike language, many ancient symbols also contain something more. A deep meaning that lies in the base of our subconscious. Carl Jung called those symbols Archetypes as archaic images or universal thought-forms that influence the feelings and action of an individual. He proposed that these images, patterns or prototypes for ideas are derived from the universal or collective unconscious. According to Jung, the collective unconscious is an inherited psyche or reservoir of experience and is common to all members of a specific species. Archetypes can be described as blueprints of our souls. These are primordial images or patterns of behavior that we are born with. The great Greek philosopher, Plato is credited with originating the concept of Archetypes. Other important notes about symbols from ancient times are that they often carry more than 1 meaning. For example, a plus sign + can mean cross such as in religion or it can mean the 4 cardinal directions, north, south, east and west.